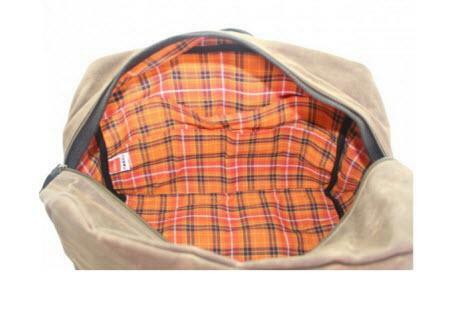 A great new and modern update to an old duffel style! 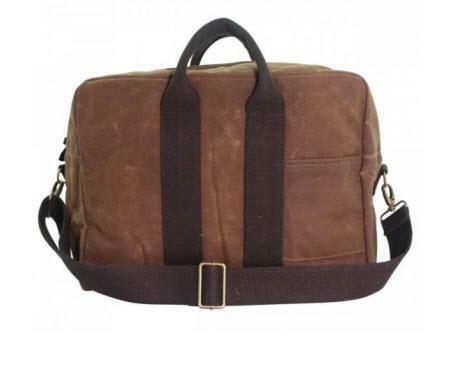 This monogrammed brown waxed canvas duffel bag is ideal for any traveler. Whether it is to and from college or heading to your next destination on your bucket list. 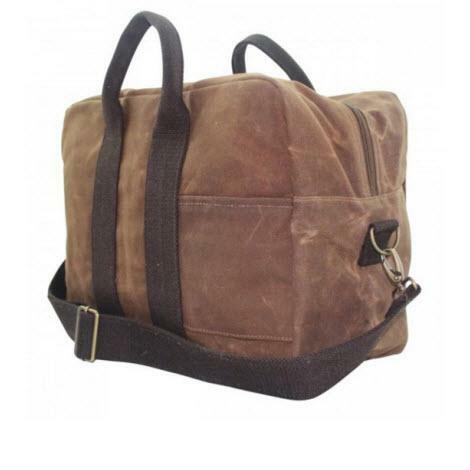 It is made of durable and sturdy waxed canvas, features a zipper top closure, attached top handles, outside back pocket, and a detachable and adjustable shoulder strap. Unzip and see the beautiful orange and red lining and includes one full size, full width pocket and an additional full bottom pocket that is divided into two sections. Measuring at 12"h x 16.5"w x 9"d will definitely hold everything you need for your trip and keep it safe and secure while staying stylish! Choose your favorite font and color thread and add your monogram for a personal touch! Price: $102.00 In stock! - Browse this brandOur products are custom made to your specifications. This product ships up to 2 weeks after your order is placed.